FXTM Review – Is FXTM a good forex broker? The FXTM brand was initially launched in 2011 and since then the company has firmly established itself as a global forex broker. It is, in fact, one of the fastest growing brokers in the industry. ForexTime, a.k.a. FXTM, has opened a number of rep offices around the world, with main operations run from a five-story Tower in Cyprus. The latest of them is FXTM London office which opened its doors earlier this year in order to better serve clients in the UK and Europe. FXTM’s product and service offering is all-encompassing. There are more than 240 instruments to trade in, including a number of currency pairs and various CFDs (plus shares CFDs reinforced by a direct connection to the NYSE and NASDAQ). Besides, clients of this broker may choose from market and instant execution, MetaTrader 4 and MetaTrader 5 trading platforms, and a wide range of trading accounts. The truth is, FTM is able to suit the needs of traders of all skill levels and preferences. In addition, the company brags about having a helpful and highly-skilled, multi-lingual support team that is always ready to help in multiple languages (more than 18). ForexTime Limited, doing business as FXTM, is licensed and regulated by the Cyprus Commodities and Exchange Commission (CySEC) as a Cypriot Investment Firm. CySEC applies a set of rules and requirements to license holders, which are not as stringent as in US or Switzerland, for instance, yet they provide a certain level of security. The Commission requires Cyprus-based forex brokers to hold at least €730 000 as a proof of financial stability. Client funds must be held in segregated accounts and regulated entities are required to report to the Commission on a regular basis. Furthermore, CySEC applies a compensation scheme as an additional guarantee to clients’ funds. All CySEC-regulated companies are members of the Investor Compensation Fund, able to provide compensations to a maximum of 20,000 EUR per person in the event of broker insolvency. As Cyprus is part of the European MiFID regulations, all CySEC regulated are free to operate in all EU Member States. In spite of this, FXTM is officially registered with a number of EU regulators: UK’s FCA, Germany’s BaFin, Italy’s CONSOB, France’s AMF, Spain’s CNMV and Norway’s FSAN. The Financial Services Board of South Africa oversees the non-banking financial services industry and supervises such providers on an on-going basis to ensure that they comply with the duties imposed by the Act. – Hedging, EAs, and scalping strategies are permitted. The most common costs associated with trading are the spread and commission charged by brokers for each trade. Most of FXTM’s accounts are commission-free: the Standard ones, as well as the ECN Zero and Pro accounts. ECN MT4 & ECN MT5 accounts, on the other hand, involve a small commission fee of $2 per standard lot. The spreads offered by this broker vary by account type. The tightest spreads are available on the ECN and Pro accounts; however, the latter is designed for institutional clients (minimum initial deposit is $25 000), that is why we would recommend the ECN (MT4) account with average spreads of 0.5 pips on EUR/USD. I we include the commission of $4 per standard lot round-turn, average trading costs per lot for this pair are around 0.9 pips. This is a good offer, since most brokers’ spreads range from 1.0 to 1.5 pips. FXTM offers a myriad of trading accounts to choose from, which may be categorized in two large groups: Standard (Standard, CENT, and Shares accounts) and ECN (ECN MT4, ECN MT5, ECN ZERO and Pro). In addition, there is a special account for trading in CFDs on shares, called Shares account, which is directly connected to NYSE and NASDAQ’s product price listings. As most Cyprus based brokers, FXTM offers SWAP-free options available on all account types, except the MT5 one. It involves a fee of $ 1.7 per lot. As we have already mentioned, FXTM supports the MT4 and MT5 – two of the most popular forex trading platforms. The broker also offers mobile versions for both of them (for iOS & Android devices) and makes regular updates. In spite of recent enhancements made to MT5 (and the final introduction of hedging on it), MT4 is still preferred by most brokers and experienced traders. It provides an advanced charting package, lots of technical indicators, extensive back-testing environment and a variety of Expert Advisors (EAs). Thanks to its ease of use, MT4 is also suitable for beginner traders, for they can also find their way around it quite easily. MT4’s successor, MetaTrader 5, allows the execution of orders in several financial markets and stock exchanges through a single trading account. The platform features advanced charting package, trading and analysis tools, alerts, signals, and customizable indicators. What is more, Its developer, MetaQuites has recently made a number of significant upgrades to it – adding of a tool for analyzing exchange markets, news management improvement, and most importantly – including a hedging option. FXTM was among the first brokers who updated the MT5 trading platform to its most recent version, featuring hedging. The latest version of the cutting-edge MT5 trading platform provides users with extra flexibility and control over their trades, enhancing their trading experience to the max. What is more, FXTM offers a traditional PAMM program, as well as a copy-trading solution, called FXTM Invest. Besides, trading signals is available through MQL5 subscription. Come to think of execution, the one offered by this broker is really great: fast speed, little requotes and positive slippage. According to FXTM’s June statistics for a period of six months, orders on the ECN and ECN Zero servers were executed on average within 150 milliseconds, its average requotes amounted to a low 3.8%, and slippage figures show the majority of its clients receiving outstanding improvement in asset pricing through positive slippage. FXTM regularly organizes various promotions and trading contests, as it strives to offer its clients the best trading opportunities and to empower their skills and knowledge. 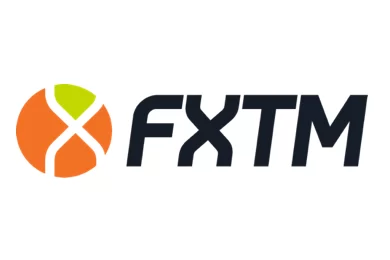 At the time of writing this review FXTM offers Loyalty Cashback program, where traders can get $2 – $5 rebates per lot anyone who deposits $5 up to $10000, based on their deposit value. 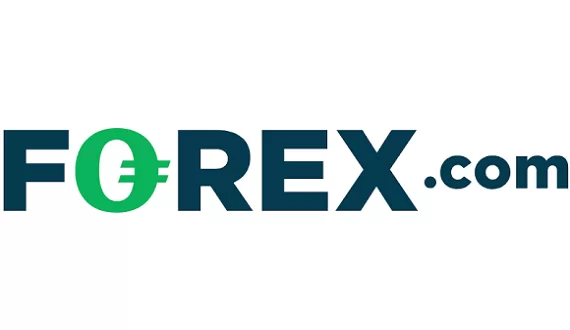 In June this year the broker conducted a demo forex contest with $6000 prize pool and earlier in March it launched a live forex contest with $100 000 prize pool. Various secure and trusted payment methods. Including credit/debit card payments, Bank Wire transfers, and numerous E-wallets, such as Skrill, Neteller, Alsfa-Ckick, WebMoney, Western Union, Payza, dotpay, Yandex and Qiwi. The Forex Review 2016-07-29 FXTM Review – Is FXTM a good forex broker?